Alex Driscoll looks at how “invasive” an EP from a woman whose previous release was titled 'Safer' can possibly be. This EP’s title is highly unrepresentative of its nature: these four songs are wholly calming and not the least bit invasive. It could be the soundtrack to a quiet, sat-down introspective moment of deep thinking, or perhaps a session of yoga. Musically, it doesn’t reinvent the wheel. But I’ll be damned if her voice isn’t the prettiest thing you’ll hear today. Her strikingly English accent is the first thing you’ll notice when you listen to the young Londoner’s official debut. 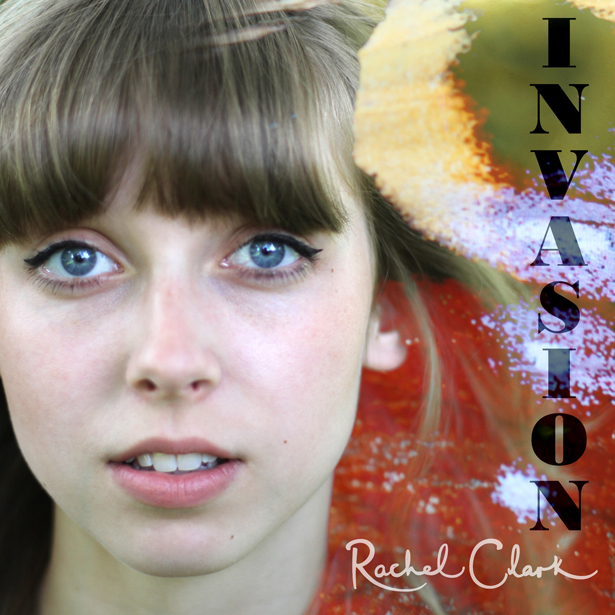 Rachel Clark joins a stream of meditative English singer-songwriters to gain fame these past few years, arguably led by the likes of Gabrielle Aplin (one of her personal idols) and Lucy Rose. While the songs on this EP aren’t as fully realised artistically as what the latter has produced on her debut, it is notable that she also lacks any of the experimental quirks that may have made her difficult to relate to. If Rachel Clark’s debut was to break through into the charts, the songs on it could be universally adored by the people, regardless of age. Instrumentally, Invasion employs the delicate percussion as seen on what many define to be the magnum opus of songwriting, Joni Mitchell’s masterpiece Blue. Across the four songs, however, Clark lifts off larger melodies that her vocal tones accommodate with no issue, and she occasionally soars into a perfectly controlled falsetto which is extremely pleasant to listen to. These songs aren’t hiding any of the gloomy undertones Joni is known for, but that’s all to Rachel Clark’s credit; she is one of the most genuinely easy to like songwriters I’ve heard in a long while.